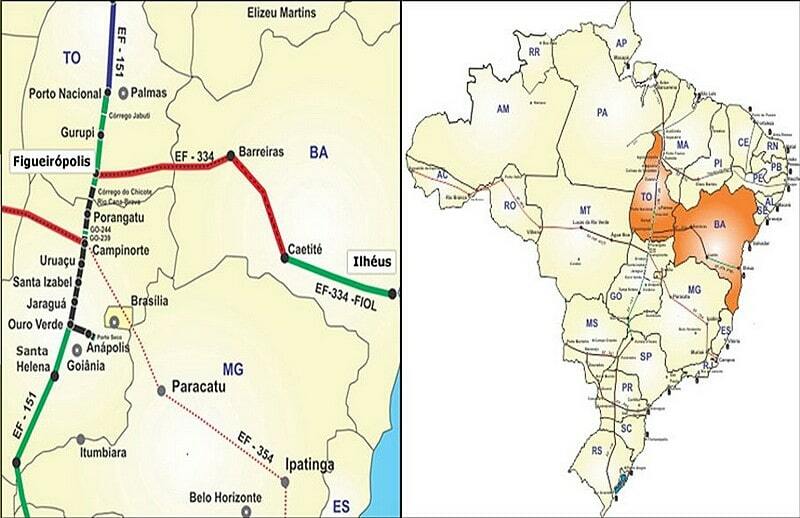 Wi​th approximately 1,527 km of extension, the Ferrovia de Oeste-Leste-FIOL will link the future port of Ilhéus (on the coast of Bahia) to Figueirópolis (in Tocantins), at which point it will connect with Ferrovia Norte Sul. ​ Bidding for the concession expected in late 2019 or the first of 2020. Link (English) to Brazilian Government site.